Happy Father’s Day! Last week this coconut cream pie recipe showed up in my reader and I saved it to make for my dad. I debated between it and a coconut rice pudding but this one won in the end. We went out to dinner at a Mexican restaurant then played pool at a bowling alley. I’m amazing at pool. I’m lying, but I do really like playing. My dad, however, is actually very good. I wish I liked cream pies, then I could tell you how this recipe turned out but I don’t, so I’ll just tell you that my parents said that it was very good. I did try a piece of the crust and liked it. This pie requires very few special ingredients. I did have trouble finding unsweetened coconut but I was told it didn’t turn out too sweet using the sweetened kind. I also had a little bit of trouble with the whipped topping. It took a long time to come to the semi-stiff peaks that it was supposed to. Maybe because it is so hot here today. Preheat oven to 325 degrees. Spread the 5 tablespoons of coconut in a small baking pan and toast in the oven until golden brown, about 9 minutes, stirring every couple of minutes. When cool enough to handle, reserve 1 tablespoon for garnishing the finished pie. Pulse the graham crackers and the remaining 4 tablespoons toasted coconut in a food processor until the crackers are broken down into coarse crumbs, about ten 1-second pulses. Process the mixture to evenly fine crumbs, about 12 seconds more. Transfer the crumbs to a medium bowl and stir in the sugar to combine; add the melted butter and toss with a fork until the crumbs are evenly moistened. Empty the crumb mixture into a 9-inch glass pie plate. 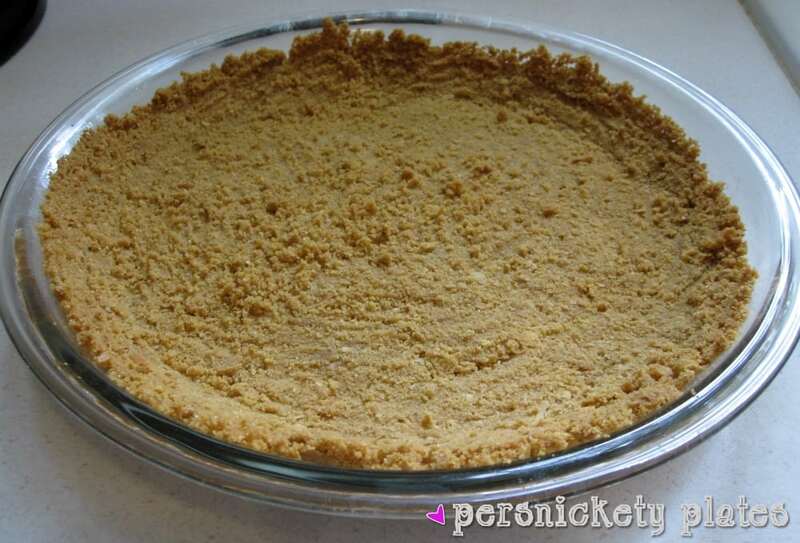 Press the crumbs evenly into the bottom and up the sides, forming a crust. Bake the crust until deep golden brown and fragrant, about 22 minutes. Cool the crust on a wire rack while making the filling. Bring the coconut milk, whole milk, shredded coconut, 1/3 cup of the sugar, and the salt to a simmer in a medium saucepan over medium-high heat, stirring occasionally with a wooden spoon to dissolve the sugar. 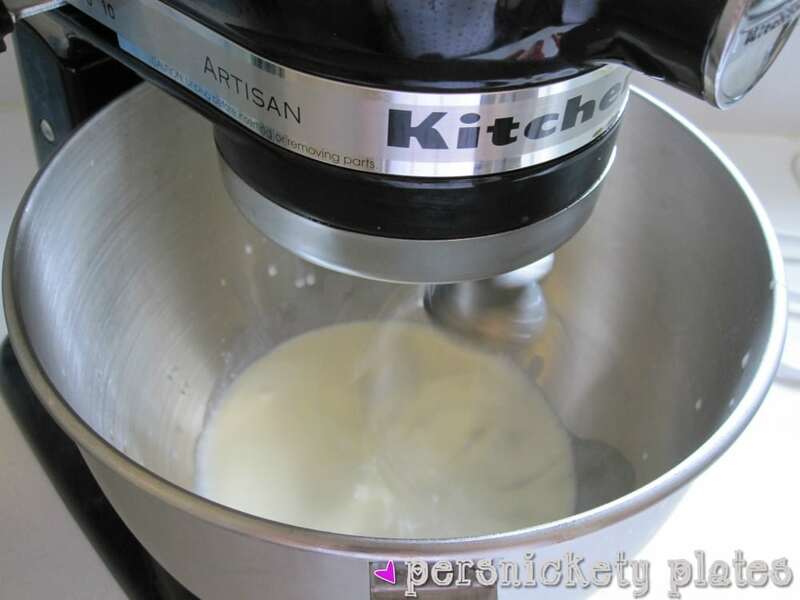 When the mixture reaches a simmer, whisk the egg yolks in a medium bowl to break them up, then whisk in the remaining 1/3 cup sugar and cornstarch until well combined and no lumps remain. Gradually whisk the simmering liquid into the yolk mixture to temper it, then return the mixture to the saucepan, scraping the bowl with a rubber spatula. Bring the mixture to a simmer over medium heat, whisking constantly, until 3 or 4 bubbles burst on the surface and the mixture is thickened, about 30 seconds. Off the heat, whisk in the vanilla and butter. 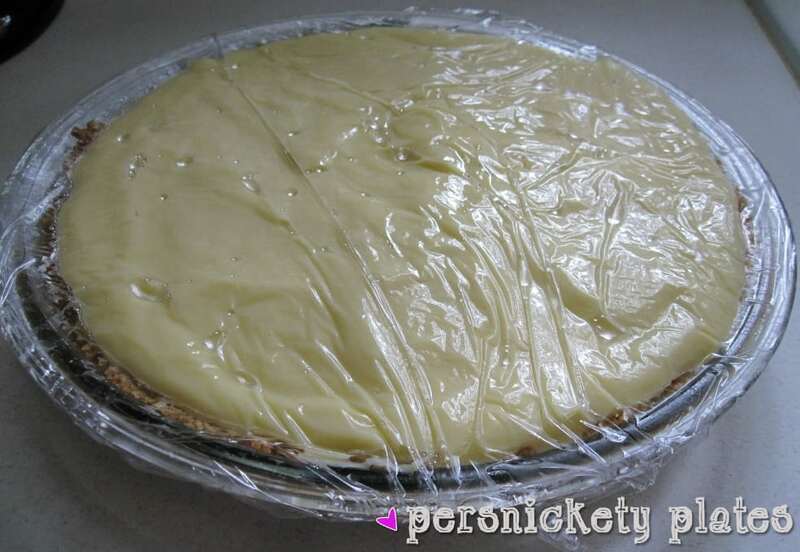 Pour the filling into the cooled crust, press a sheet of plastic wrap directly on the surface of the filling and refrigerate until the filling is cold and firm, at least 3 hours. When ready to serve, beat the cream and sugar in the chilled bowl of an electric mixer at medium speed to soft peaks; add the rum and vanilla. Continue to beat to barely stiff peaks. Spread or pipe the whipped cream over the chilled filling. Sprinkle the reserved 1 tablespoon toasted coconut over the whipped cream and serve. Cover any leftovers with plastic wrap and store in the refrigerator. As a side note, just in case you’re intimidated by recipes and cooking/baking, know that I am not terribly proficient or graceful in the kitchen. This is what happens when you drop the whisk, not once, but twice, and splatter filling all over the kitchen. 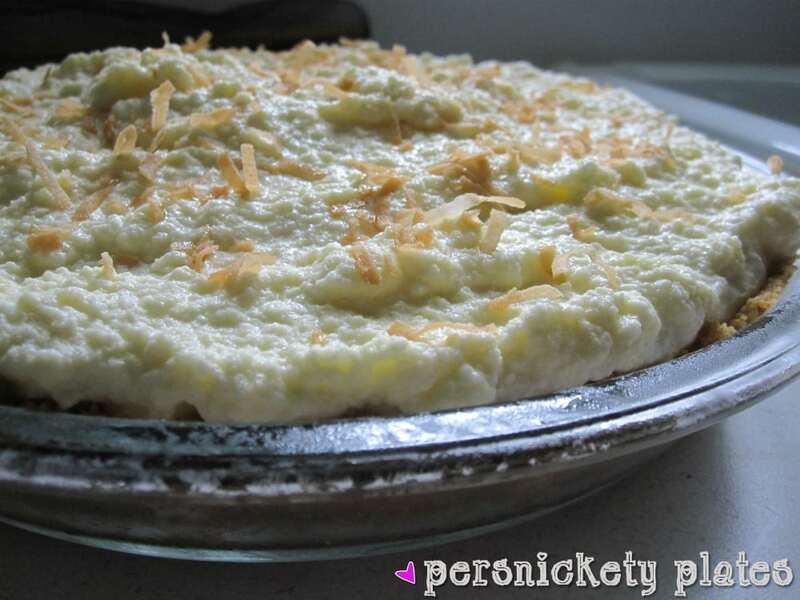 My husband loves coconut cream pie, so I will have to give this one a try. This pie looks wonderful! I have often dropped things while cooking – that is why I have a dog! I have pinned this wonderful pie and shared it on facebook!